Kale lovers can now get their fix at an unexpected place: Starbucks. The chain’s new Evolution Fresh smoothies have launched in 4,300 Starbucks stores in the Pacific Northwest and Northern California, and in select grocery stores with Starbucks locations such as Target, Safeway, and Kroger. The new line consists of three smoothies: Sweet Greens, Strawberry, and Mango Carrot. Made from “nutritious ingredients with nothing added that nature didn’t put there,” the smoothies contain Greek nonfat yogurt (a proprietary blend developed by Dannon and Evolution Fresh) and cold-pressed fruit and vegetable juices, including kale, spinach, carrot, strawberry, and mango. Customers also have the option to add fresh kale to their smoothies, in addition to Greek yogurt and protein powder. 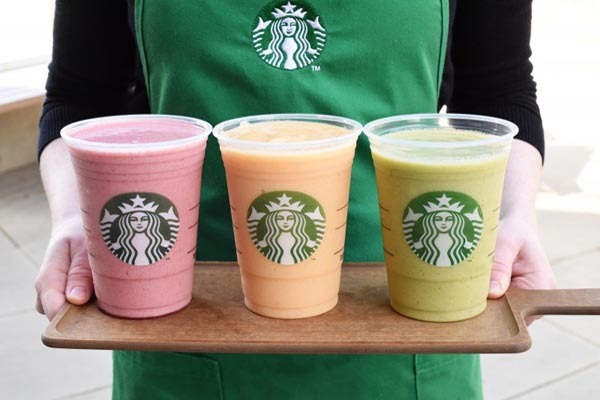 Starbucks has been testing the Evolution Fresh smoothies in select stores in St. Louis and San Jose throughout 2014, and says that its employees have reported extremely positive feedback. And How Does the Nutrition Stack Up? 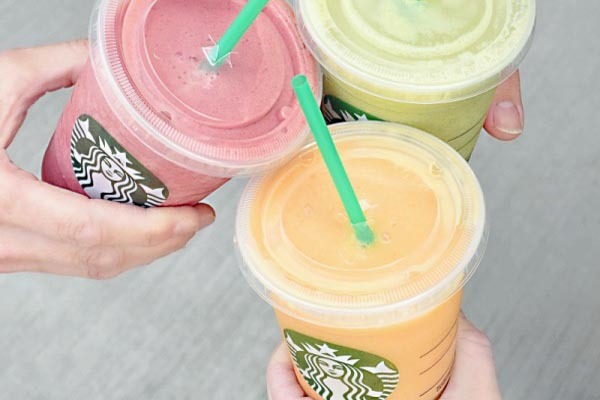 It’s hard to say without nutrition facts, but Starbucks promises that the new smoothies are free of artificial sweeteners, preservatives, colors, and flavors. Each one ranges from 170 to 230 calories. King of dark green, leafy superfoods kale will also add Vitamins A, C, and K, protein, fiber, folate, and some Omega-3s to the beverage blend. Kale also contains high amounts of minerals like copper, iron, manganese, phosphorus, potassium, and calcium. Just how much kale will be in each Evolution Fresh smoothie remains to be seen. A 16-ounce smoothie will sell for about $5.95. Starbucks hopes that the smoothies will fulfill Americans’ cravings for snacks made with simple, wholesome ingredients. Considering that both kale and Greek yogurt are still incredibly “trendy” right now—the yogurt market is worth $7 billion, according to Starbucks, and has been fueled by the recent surge in Greek yogurt’s popularity over the last several years—it appears that Starbucks is making a savvy move. What do you think? Is it more convenient to have Starbucks make your smoothie for you, or are you skeptical of mass-produced health drinks?